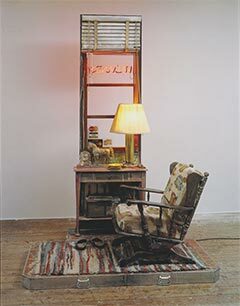 While in New York I was pleasantly surprised to run into an artist, Ed Kienholz that had a profound affect on me in undergraduate, and even more so in graduate school at Washington State University. I had an instructor Bob Helm who was friends with him who would tell me of his colorful visits to Kienholz’s property and studio in Montana where he created his work. Bob would tell stories of cast alumninum foxes in the woods and chandeliers in the trees. 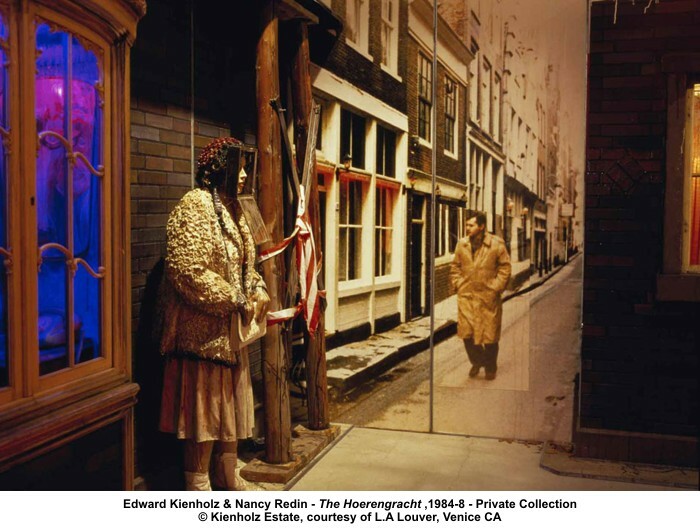 Ed Kienholz along with his wife Nancy Reddin made assemblage tableaus that made political, social and psychological statements about the stuff of life. I was always impressed with his use of materials and his williness to keep things messy on all levels of the work. 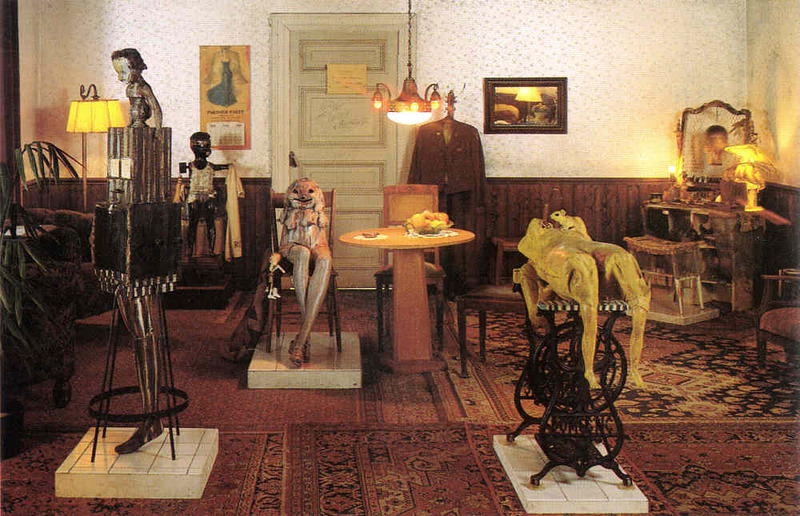 At one of David Zwirner’s galleries in Chelsea in June I found Kienholz’s recreation of the lobby of a 1940’s brothel entitled “Roxy’s.” Although I had seen a retrospective of his work in Los Angeles some time ago, I had never seen this piece in person. It was a site to behold. This entry was posted in Artists of Interest and tagged assemblage, Ed Kienholz, found object art, life as art, Roxy's, wear and tear. Bookmark the permalink.